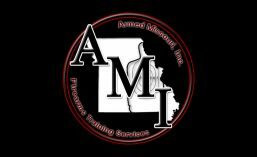 NRA Instructor Training | Armed Missouri, Inc.
Armed Missouri, Inc. can assist you in becoming a NRA certified instructor in any or all of the disciplines listed below. To be an NRA Certified Instructor you must first meet the listed prerequisites for each course. You will be required to provide your course certificate from the basic class or other qualifying documentation before you can receive NRA instructor training. Class times will vary depending on your selected course. Several of the courses are two days in length. After registration, each candidate will receive additional information regarding your selected class. Many of the classes on our schedule will include BIT for your convenience. Find course dates, prices, details and online registration on our Course Calendar. BIT must be taken each time another instructor rating is added if it has been more than two years since the last time BIT was taken. BIT will be significantly discounted for any candidate taking it in conjunction with an instructor course. Click HERE for more information about becoming an NRA Pistol Instructor.